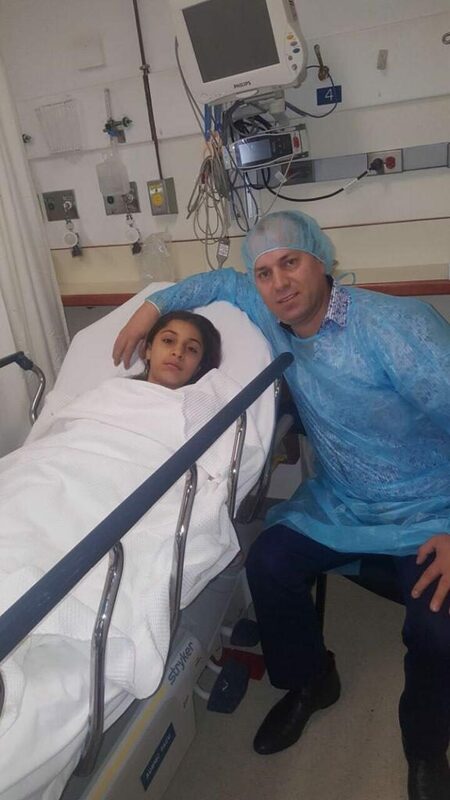 Tamara K., a Lebanese girl from Tripoli, has been diagnosed with a very rare form of epilepsy and needed an urgent surgery. Unfortunately, her family financial conditions did not allow her to get that surgery. Tamara’s father is a Chef at a restaurant in Jounieh and her mother is a housewife raising 4 children at home. The family lives in Akkar, one of the most impoverished areas in Lebanon and the Middle East. The father sold his only car. The mother sold her only jewelry – her wedding ring. Friends and family pitched in for the $40,000 surgery, but $11,000 was still needed. Time was the essence. Tamara, who is now 12 years old was getting too old for a brain surgery and her epilepsy seizures had become almost constant. Most days, she could not go to school anymore, because she needed to be under constant watch. It was depressing her mentally, affecting the lives of her brothers and sisters, and her father almost lost his job due to frequent tardiness and absenteeism. The foundation reached out to the Tabbara family and helped with the needed financials to perform the surgery. The surgery was a tremendous success. Now, Tamara is back to a normal life and attending the school like any child her age, playing and going out with friends.